IOTA is a cryptocurrency that enables transactional and seamless confirmation processes while function through an additional “data” layer. The cryptocurrency came to the forefront of the mainstream when it garnered the attention of millions around the globe through the introduction of its framework take on a blockchain alternative called “The Tangle”. IOTA was developed by an experienced and well-vetted team that sought to develop a cryptocurrency that sought to improve upon many of the inefficiencies that blockchain technology encountered. Many things such as scalability, and having the ability to expand as more users join the network, were targeted with IOTA, and it is subsequently the main advantage that is held over other cryptocurrencies. IOTA is an alternative cryptocurrency, many times referred to as an altcoin, that relies independently on Bitcoin or any other cryptocurrency for that matter. IOTA is also one of the only cryptocurrencies that don’t run on a blockchain framework, but rather its own modified rendition of a blockchain, called “The Tangle”. IOTA has stated an intention of providing an additional data layer to the financial atmosphere, specifically in the world for the “Internet of Things” (IoT), hence the title, “IOTA”. While Bitcoin serves mainly as a global currency used for settlements and payments for virtually anything, IOTA is targeted and tailored more specifically for the IoT market, in that it has a goal of reaching billions of devices, programs, and much more, creating a virtual environment where transactions can be sent amongst one another. IOTA is the native “currency” of the IOTA Network, almost parallel to how Ether is the native currency of the Ethereum Network. IOTA was founded in 2015 and raised money for project funding via Bitcoin worth a total of about $500,000 at the time. IOTA stands today as one of the most profitable inceptions to current day standards in assets, as the native currency netted initial investors tens of billions of dollars worth of profit. 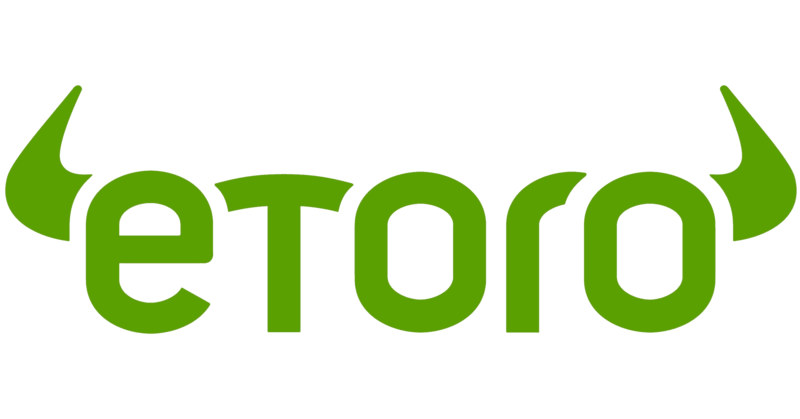 eToro is one of, if not the leading regulated and compliant cryptocurrency providers that has various user-base. The platform is also a compliant and regulated method for purchasing and also trading IOTA directly within your account. To begin, head to the eToro website and find the “Sign up” or “Join now” button, which is typically highlighted with a green Call-to-Action button such as the one below. Upon completing the necessary input, your initial account opening should be completed. However, to get started with buying or trading IOTA, you’ll need an additional layer of necessary security. 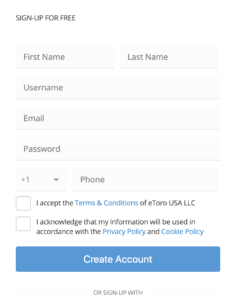 In order to ensure any of your financial holdings, cryptocurrency, or assets purchased on eToro are at their maximum level of security, you’ll need to finish any needed information that can verify your personal account ownership. Traditionally, this will range from 2FA through phone numbers, emails, or any third party authenticator apps, which are all supported on eToro. It is recommended you complete the maximum level of verification possible so that you don’t run into any future complications and protect yourself to the utmost potential when it comes to security from hackers, phishers, and other online fraudsters. Additionally, make sure you’ve linked a financial account so you can actually fund your eToro account and make subsequent trades or purchases of any assets on the platform. eToro currently supports bank accounts, debit cards, and even streamlined payment processors such as PayPal. In order to purchase IOTA, we need to first prior to anything, deposit funds to make an order available on the exchange for execution where another party can match our request. To make a deposit, ensure you’ve followed the aforementioned steps and have verified an account for funds to flow from. Once selected, navigate and select the appropriate method for which you’d like to use to make the deposit into your eToro account. 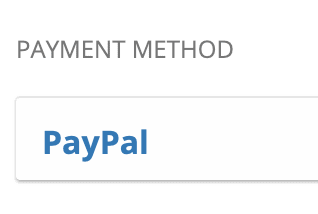 All of the methods demonstrated will be located under a dropdown menu which resembles the following. 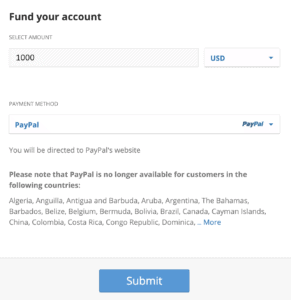 For this tutorial, we’ll utilize PayPal; then, enter the number of funds you’d like to deposit, for example, $1000. In each instance, no matter which method of deposit you’d like to make regarding funds, you’ll need to in some cases instantiate cooperation from some external party. For example, whether it be a bank or Credit Card, you’ll need the proper verification items such as the CVC, ID cards, or account numbers. Once done, you should see the funds show up in your eToro account. This is the part where you’ll actually “buy” your IOTA funds. 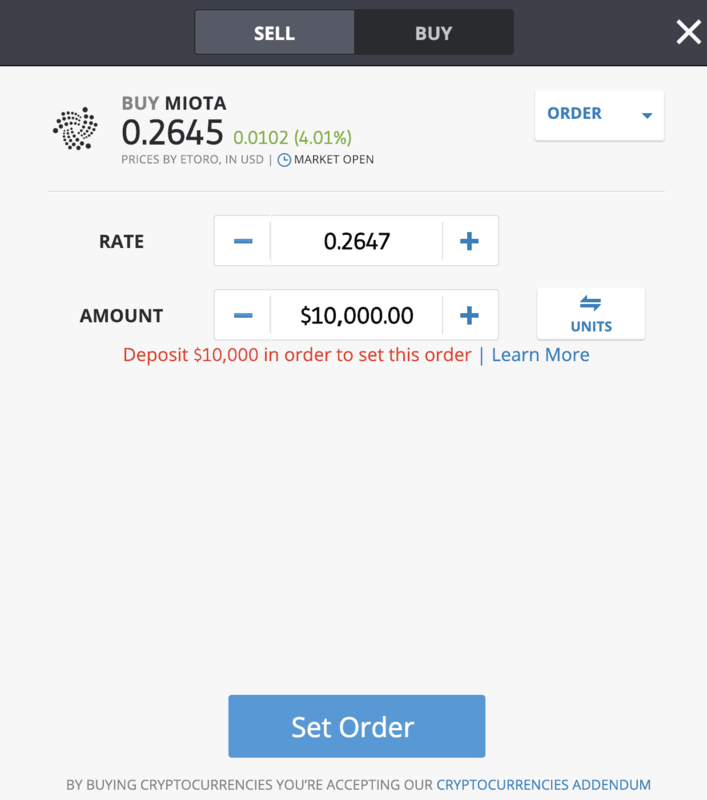 In order to purchase IOTA, head over to the center-most top portion of your screen and look for the search bar which looks like this and enter in “IOTA”; you should see MIOTA. 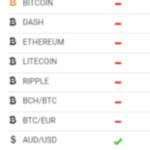 Click on the option that says “Trade” (Don’t worry if you don’t want to trade, we’ll also have the ability to simply purchase IOTA if we want to). (Also, MIOTA is IOTA’s ticker symbol, similar to how BTC or XBT is Bitcoin’s ticker symbol, so don’t worry if that looks unfamiliar). You’ll have then successfully bought IOTA. In order to purchase IOTA on Binance, you’re going to need a setup a Binance account which requires an email, ID verification (If you plan to surpass certain limitations or plan to open a fairly large account), and a 2-factor authorization application/method (Phone number or Google Authenticator). If you’ve done so, you can then move on to the next steps. Ensure you’ve setup as much security as possible, as Binance is one of the most commonly replicated cryptocurrency exchanges out there meaning scammers try to lure users through Binance because of its online and internet-heavy presence in comparison to other more institution-like companies such as Gemini. Binance, at the time of this writing, doesn’t enable processing of other types of fiat deposits such as bank accounts, however, that can definitely change within the next year or two. For now, you’ll have to deposit funds to Binance via a base cryptocurrency, which is traditionally either Bitcoin or Ethereum. Then, on your Binance account, find the “Deposit” section of each subsequent cryptocurrency, set up a deposit address (This may require verification from your 2FA app), and confirm its addition. A further Binance deposit tutorial is available on their site, found here. In the above example, we’re buying IOTA at the market price, or the best available price that is out there. 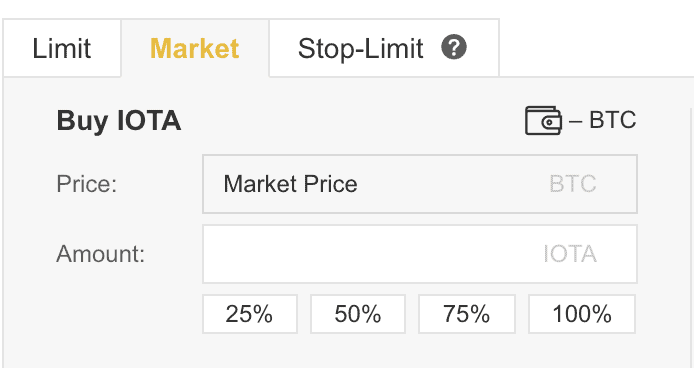 In the “Amount” section, you’ll just indicate how much of IOTA you’d like to purchase in exchange for the market price. 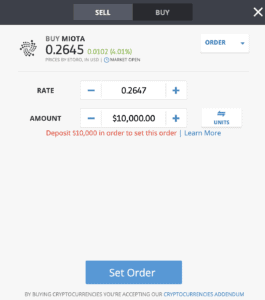 Upon purchase, you can then go to the top right of the exchange at “Funds” and navigate to your holdings under “IOTA” to see your newly purchased IOTA. You can then withdraw/sell as you wish. As a regulated and legally acknowledged exchange, Plus500 offers trading of IOTA in the form of CFDs in accordance with a level of security that not many other platforms can enable. In order to start with IOTA trading on Plus500, you’ll need to register via your email, name, and provide proper credentials for investor verification as well as bank accounts/methods of funding. As a regulated broker and exchange, Plus500 requires verification of investors. As such, you’re required to provide some provisional information about yourself as an investor. Once verified, you’re then able to purchase IOTA CFDs on the Plus500 platform in accordance with the broker’s rules and regulations. Global exposure, however, not available in the U.S.
Buying IOTA is extremely easy if you’re a resident from the United Kingdom; you can use eToro to purchase MIOTA (IOTA’s ticker symbol on eToro) after completing the sign up process and verifying your account on the site. As eToro is a licensed exchange that’s regulated by the FCA, you can hold a sense of confidence over the safety of your cryptocurrency that may not be available with other exchanges or websites. 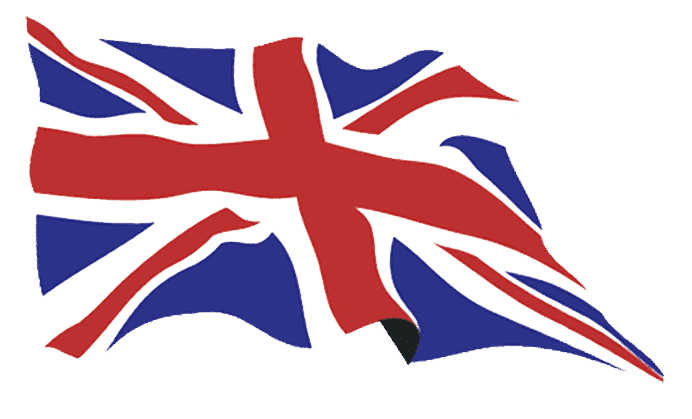 IOTA is also available on other third party exchanges that welcome UK traders and customers. Purchasing IOTA in the U.S. and in Canada is a fairly simple process that can be done quickly through the Binance exchange. Binance currently processes the highest volume and most liquidity for IOTA trading pairs; primarily, the highest level of liquidity for any IOTA trading pair in the United States is IOTA/USDT, meaning IOTA paired with the “Tether” (USDT) stable coin. The pair can be found and traded via 24/7 markets. IOTA can also be traded on Binance if you’re in the U.S. or Canada attached to the multiple other, what Binance calls, “alternative” trading pairs. This includes Bitcoin, Ethereum, Ripple, and a few other stable coins. 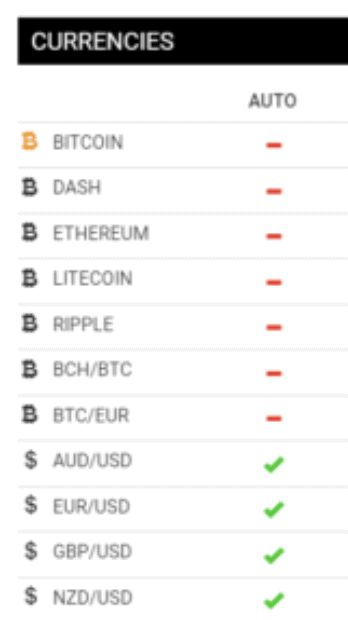 IOTA can be purchased in Australia either through eToro or Binance. 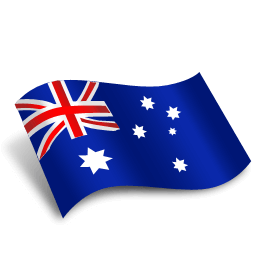 Both exchanges offer compliance and supported trading in Australia, however, it should likely be noted that eToros is a registered licensed exchange overseen by the FCA, while Binance is registered and overseen in Malta; both countries/jurisdictions have their respective differences, advantages, and disadvantages. 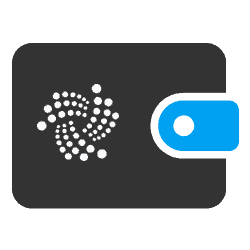 You own the IOTA, you have the right to move it, sell it, and transfer it as you wish. Traditionally associated with shorter-term positions or ideologies about IOTA because using margin accrues fees very quickly. Most, if not all, cryptocurrency robots, will have some sort of editable parameters where you can choose exactly which assets the robot trades, where you’re able to specify and enter in which currencies or assets you only want to trade. 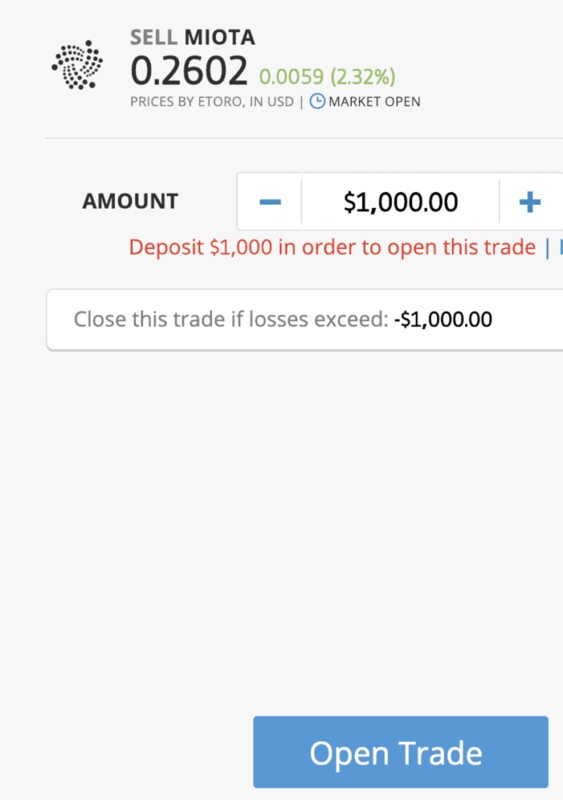 In this case, you can then enter in an IOTA tradeable pair for algorithmic or automated trading. Cryptosoft is a perfect example of this. It enables some altcoins, IOTA specifically, to be enabled solely for trading. This opens the door for the opportunity within automated/algorithmic trading. The red lines indicate blacklisted trading pairs for the bot, the green check indicates approved; so just apply the same towards IOTA/BTC or other IOTA pairs. These methods are higher risk but can offer higher reward. The most viable option for using an IOTA robot seems to be Cryptosoft. Purchasing IOTA using a credit card works the same as with other payment methods; preferably used on eToro, a credit card can be immediately linked to the platform which is subsequently used to deposit funds, which are then used to purchase IOTA. 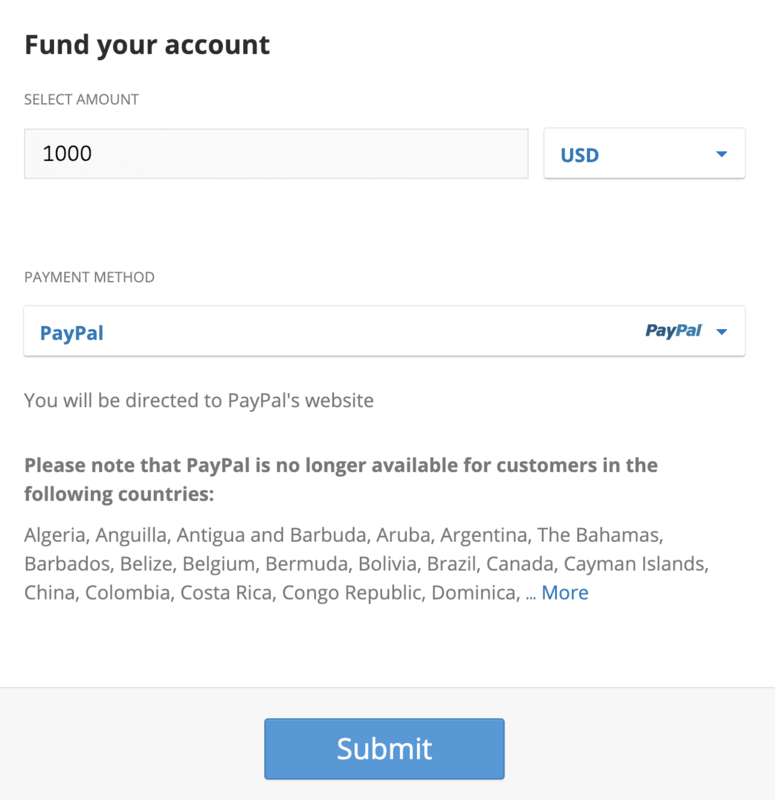 IOTA is currently not directly available for purchase with PayPal; however, if your only option is to use PayPal, you can use direct connections to other crypto exchanges that support PayPal in order to facilitate an exchange to Bitcoin, which is then exchangeable for IOTA. The best and most reliable option is eToro, arguably because it’s regulated, overseen, and only requires a quick link to your existing PayPal account to deposit funds that can be exchanged for IOTA. The largest volume trading pairs for IOTA are paired to Bitcoin, which means buying IOTA on virtually any platform requires you to structurally purchase IOTA using Bitcoin prior. This means you’ll have to convert your fiat funds to Bitcoin, and then use that Bitcoin to exchange it for IOTA. We’d recommend utilizing Binance for this. To buy IOTA with Bitcoin, the process would look as follows: Buy Bitcoin –> Use the Bitcoin to exchange for IOTA at relevant pricing –> Execute trade, and monitor new IOTA wallet with funds. Selling IOTA is respectively parallel to the process for purchasing it; it requires market liquidity (Widely available in this case; this just means how fast someone else is willing to buy it if you’re selling IOTA) since you will have to sell it to a respective asset. Currently, the most liquid trading pair for IOTA is IOTA/USDT (Tether). The highest volume pair is found on Binance for this. In order to sell IOTA, you’ll need IOTA in whichever exchange you plan to sell to’s wallet. 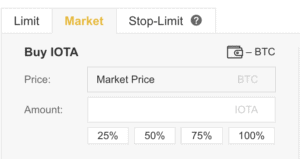 Assuming you’ve done this, we can move forward with the process; eToro maintains a very high level of liquidity and traditionally offers precise entry points for sell orders in case you had particular goals for your orders in mind. Head over to eToro, and go to the “Trade Markets” tab on the left-hand side under your account preferences and settings. Then, find the “IOTA” markets, and locate the “sell” button this time, instead of the buy. Enter in the parameters; how much of your IOTA would you like to sell, and would you like an order placed at the next optimal timing, or only at a specific price? eToro enables you to decide. Once specified, press the “Open Trade” button located towards the bottom and then simply wait for the execution of your funds back into fiat. IOTA is a revolutionary asset, and can potentially be the gateway for a globally decentralized payment platform for the Internet of Things. The underlying IOTA structure also offers hope for blockchain development, as “The Tangle” shows that blockchain frameworks are not static and can be expanded towards other forms of potentially more efficient technology. 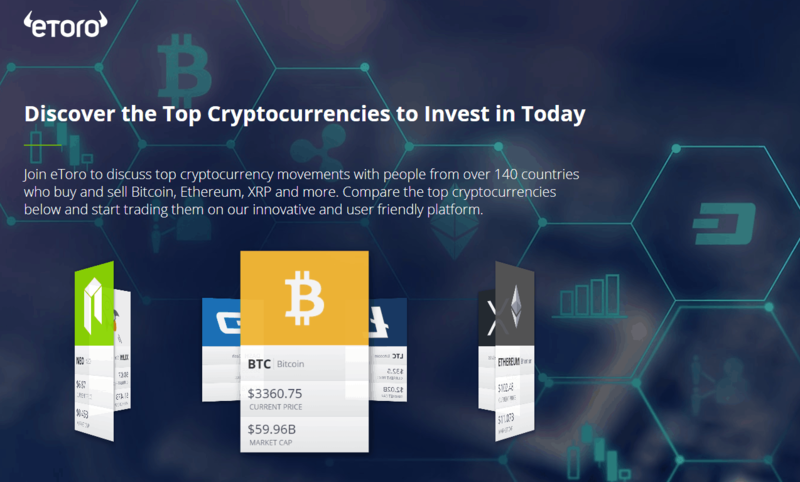 While purchasing cryptocurrency can at first seem sometimes challenging because of the underlying intricacy, eToro, and platforms that offer legacy system streamlining make the process much more feasible. IOTA is an opportunistic and potentially revolutionary technology that, if accessible, should be researched for its unique capabilities. David Sontesbo, Dominik Schiener, Serguei Popov and Sergey Ivancheg created IOTA in 2015. IOTA is a decentralized cryptocurrency and blockchain payment provider that serves as an additional data layer for the Internet of Things (IoT). What is the best place to buy IOTA? Arguably, eToro would be the ideal location/exchange for purchasing IOTA as it is a regulated broker and oveseen for manipulation. How can I keep my IOTA safe? Always enable multiple factors of authentication, create additional layers of security for your funds, and ensure all sensitive keys are encrypted. How long can iota go in 2019 ? I saw that IOTA has quick and easy interface. From your opinion, is it really that simple to use? I was finding it difficult to buy. Thanks for making this post.